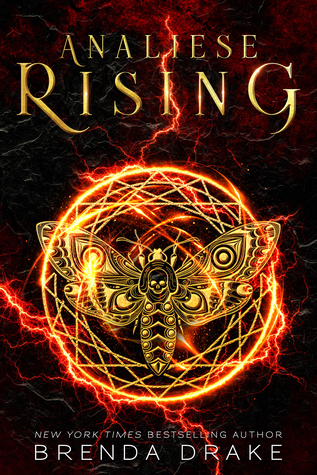 I’m currently reading Analiese Rising by Brenda Drake. This is my first book by this author, and it was the cover that first caught my attention, but I’ve always had an interest in mythology also. 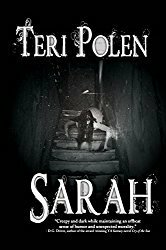 I’m about halfway through, and it’s a fast-paced read, but it hasn’t really grabbed me yet. I just finished The Similars by Rebecca Hanover over Thanksgiving. Me being such a sci-fi geek, all I needed to see was the word ‘clones’, and I immediately hit the request button on NetGalley. This one had me wanting to curl up in a corner away from the Thanksgiving festivities so I could finish it. Next, I’ll read The Gilded Wolves by Roshani Chokshi. Early reviews are positive, and I’m anxious to get started. Another beautiful cover. The setting in The Gilded Wolves was what did it for me, Mae – love that time period. The Simiars sounds delicious! Why weren’t there cool teen novels like that when I was in high school? You’re right, the cover on The Gilded Wolves is beautiful. I agree, Priscilla – there definitely weren’t cool teen novels like that when I was in high school either. Maybe that’s why I read so much YA now, lol. 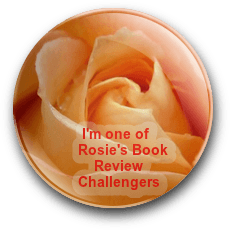 Analiese Rising sounded like a thriller that would keep you turning pages. I thought so too, Drew. I’m around the 65% mark, and it’s picked up a bit. That is too long. With today’s impatient audience a book needs to pick up much sooner than 65% in. I think so too. I’m not sure why this one isn’t grabbing me like I’d hoped. Something is just missing. The story was a great idea for a perfect thriller. Exactly, Sophie! Wish I could find that corner and keep it hidden from everyone, lol. The cover of the first grabbed me. So did the last one. Can’t wait to hear what you think of it. I’m hoping to start The Gilded Wolves this weekend, Staci. The advance reviews really have me anxious to get started – just have to finish NaNo and take care of some real life stuff first – you know how it is. 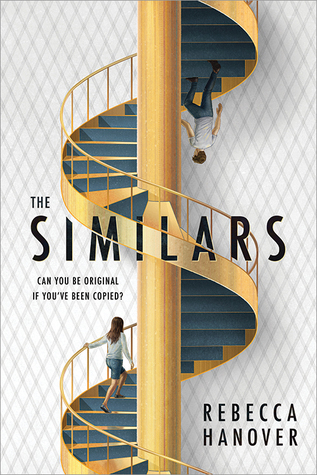 The Similars is on my TBR. Enjoy! This will be my first book by her, but I’ve only heard good things about her writing. I actually met her a few years ago at a Nashville book fest. I don’t usually read Sci-Fi or books set in boarding schools…but The Similars is tempting! Enjoy your books…and thanks for visiting my blog. I’m a huge sci-fi geek, so I jumped on this one right away. I blame my dad for getting my hooked on The Planet of the Apes when I was a kid, lol. I do like the look and sound of ‘The Gilded Wolves’ might have to give it read. I have high hopes for this one! 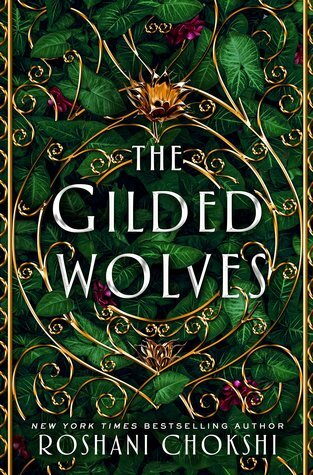 Love the cover on The Gilded Wolves! It’s hard not to fall for that one, Jacquie. I heard a lot of good things about the Gilded Wolves! I need to read that series soon! So many books – there are about 15 I’d love to start right now! Wow, Teri — they all sound amazing. Looking forward to a review of the first one. That’s a beautiful cover and I’m interested to hear your take on this story. Oddly, at first glance I didn’t care for the second cover, but with the description, it totally works for me. I like it a lot. Happy reading, my friend. Hugs. With me being such a science nerd, the staircase immediately looked like a DNA helix and sucked me right in, lol. Hugs, Teagan! I’m seeing so many mentions of The Gilded Wolves. Hope you enjoy! So do I – I have high expectations, and hope I’m not disappointed. I’m going to be reading the Gilded Wolves in January. It sounds so good, I’m hoping it lives up to its promise! I look forward to hearing your thoughts on it. So do I, Emily – hope we both enjoy it! Oh my goodness, The Gilded Wolves looks amazing!!! I am drawn in by your clone lovingness as well so The Similars went on my TBR. 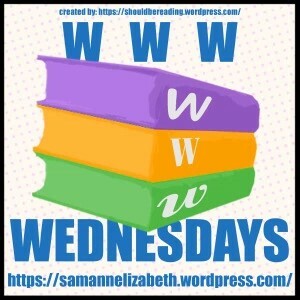 Here is my WWW: https://silverbuttonbooks.com/2018/11/28/www-wednesday-november-28-2018/. Happy reading! Happy I could add to your list! I really like the sound of The Similars, Teri. Really liked that one, Robbie – made my little science nerd heart pitter patter, lol.